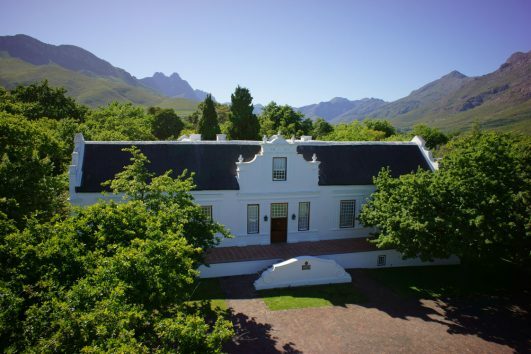 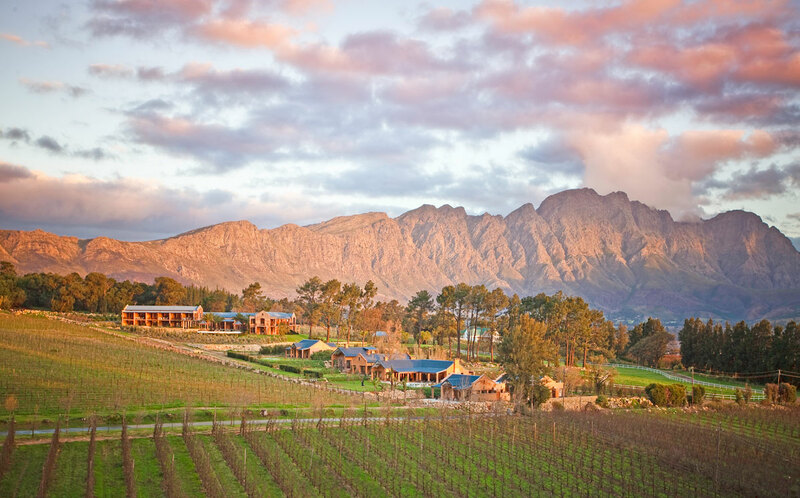 The majestic mountains that surround the idyllic Franschhoek Valley provide enchanting views in every direction. 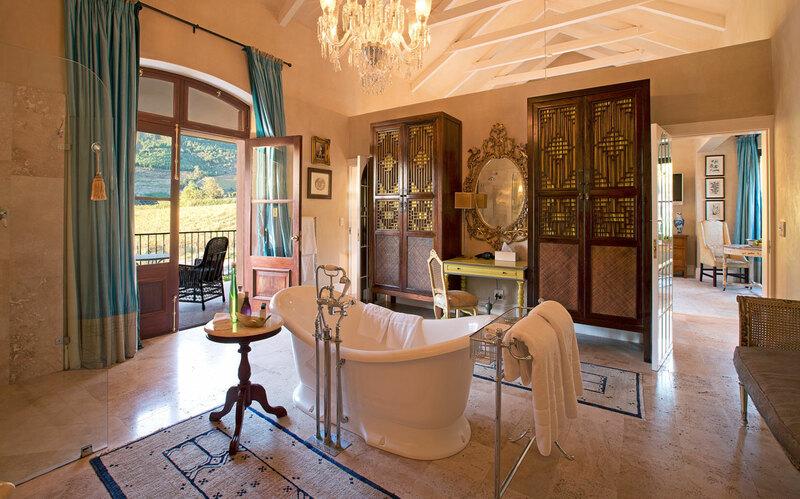 La Residence lies at the heart of a private 30-acre working farm, complete with vineyards, plum orchards, a dam and fragrant manicured gardens. 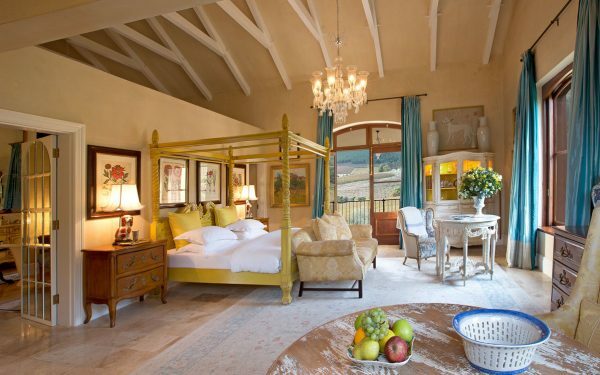 Space is in abundance with panoramic views from every suite. 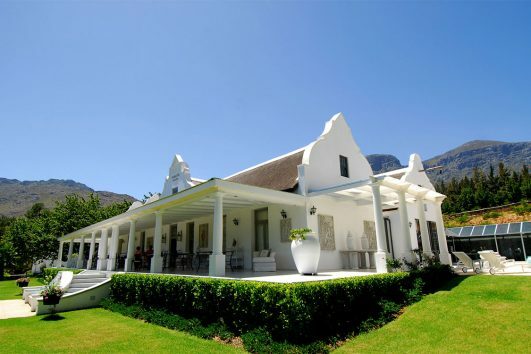 Large bedrooms and bathrooms open onto generous sunny balconies and verandahs, which offer the perfect place to relax, admire the view, and marvel at the synthesis of beauty and tranquility. 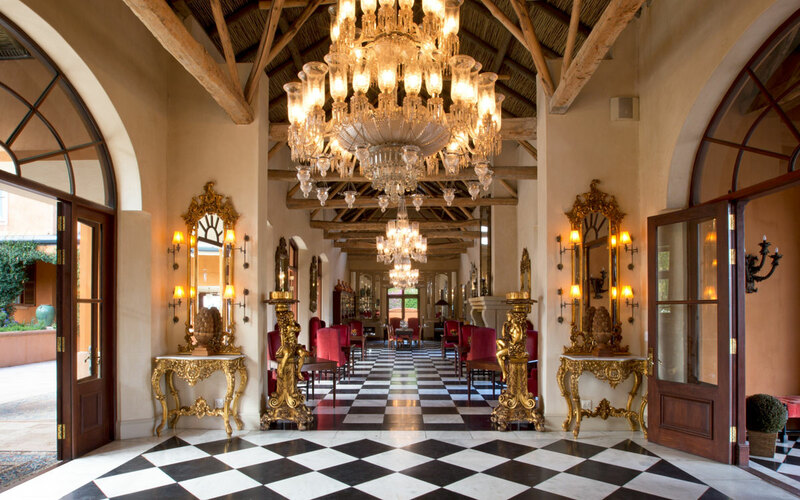 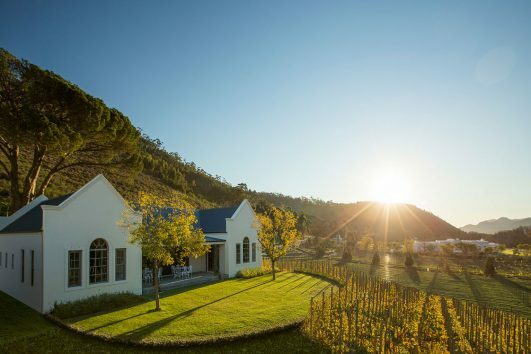 Nestled at the foot of Bainskloof Pass, Wellington, the exclusive Estate is set on 380 hectares of vineyard, forest and fynbos and is surrounded by three dramatic mountain ranges.